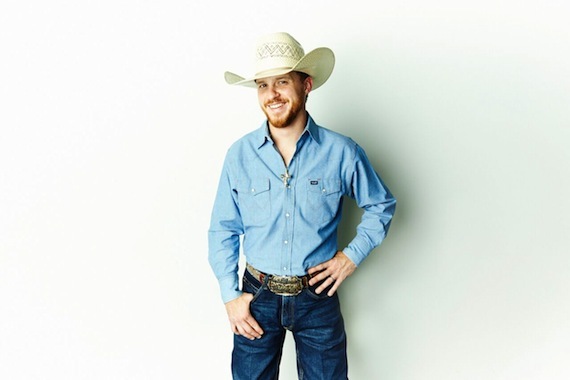 After leaving behind a career in pro rodeo (with the shiny buckles to prove it), Cody Johnson has settled into a 25-acre ranch in Huntsville, Texas, with a family and a promising country music career. He’s been traveling to Nashville over the last few years to write and record, and says he considers the city a second home, yet he remains fiercely independent. His 2014 release, Cowboy Like Me, debuted at No. 7 on Billboard’s country album chart. His new project, Gotta Be Me, releases Friday (Aug. 5). 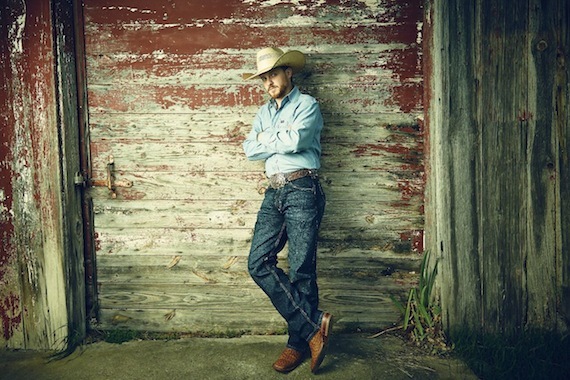 With memorable tunes like “Half a Song” (which conjures classic George Strait) and the single “With You I Am,” Johnson is keeping his eyes on the prize. MusicRow: Why was it important for you to record the album in Nashville? 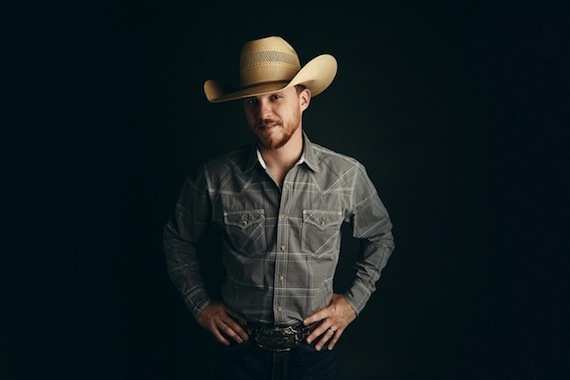 Cody Johnson: Backing up a few projects, A Different Day was the first project I had come up here and done. I was writing with Trent Willmon and he wasn’t really producing at the time, but I know he was thinking about it. He kind of used me as his guinea pig. He wanted to do demo sessions of songs we’d written, and when I heard them, I said, “You call this a demo? This is a record!” So that is what started our first project [in 2011], A Different Day. Moving to the follow-up project, Cowboy Like Me, it was obvious I wanted to come back here. My touring band that I have back home, I uphold them to the highest of standards. They are great! They’re good enough to be on an album but they didn’t want to be on the album. Their thoughts were the same as mine: If we get those guys in Nashville that are the best of the best, to hone in on who you are, and your sound, and what we do as a live band, they’re going to play licks that are more out of the box. More creative stuff that we wouldn’t think to do. And if we get that, then we get to learn that record and take it to the stage and make ourselves better. SiriusXM and the Highway channel have been playing “With You I Am.” What has that support meant for you? That’s been a recent big deal. We were sitting at a bar not too long ago, after soundcheck, just eating and grabbing a beer. They had the Highway on and we heard “With You I Am” come on the radio and I asked the bartender to turn it up. Everybody was so shocked at how shocked I was. I said, “Guys, that’s the first time I’ve ever heard myself on a radio station, period.” That’s a different world and a totally different broad spectrum to know that we’re getting that kind of light shown on us. I feel the ballgame changing a little bit. That’s really, really cool to see. You have a solid base on socials and in streaming. Have you seen an uptick since SiriusXM picked you up? Absolutely. We’ve done like 80 or 90 million streams in the last 18 months. It’s been unreal. And I’m one of those guys who keeps my head out of social, and I keep my head out of the clouds. I treat this just like any other job. You wake up, put on your work boots and go give it your all. I don’t think I’ll ever let myself get too caught up in all that stuff. Are you going to try to shop your music to a major label? We actually have had some majors approach us, but the thing is, I’ve built my career off the fan base we’ve developed. Not just in Texas. We’re honestly playing more outside the state of Texas than we are in, because we haven’t oversaturated our markets. It’s great to go play in front of 10,000 people somewhere, but what about those 78 people in South Carolina, and the fans there that know every word of your stuff? You can’t not go there because there’s not enough of them. You have to go develop that and bust your knuckles, so to speak. You’re clearly very driven. Where does that come from? My dad worked every day growing up. My mom, my brother and I cleaned houses so my mom could homeschool us, because we didn’t have a lot of good school districts around us. I’ve never met a more hard-working man than my father. I’ve always wanted to make them proud. Now that I have a wife and a daughter, and I have 12 guys on a bus, and a staff of over 15, I feel like I owe them that, to put on my work boots every day. I think that a lot of it comes from rodeo. You’re going to knock me down, but you’re not going to knock me down forever. I’m always going to get back up and say, “Hit me again.” I’m one of those people that when the fight is heaviest, I perform my best.